Founded in August of 2001, Touch Dynamic is an ISO 9001:2008 certified manufacturer of All-in-One touch terminals, small form factor PC’s, mobile POS tablets and touch screen monitors for a variety of industries. We understand the demands on our channel partners and provide unique products and additional value-added services to help them meet the specific needs of their customers. Touch Dynamic has leveraged employee’s extensive experience in these markets to develop a focused product line of unmatched quality and features. We back it with a support staff that is highly skilled and motivated to solve any issue that might arise. Touch Dynamic products are manufactured, tested, shipped and serviced from our US headquarters in Irvington, NJ or our three Regional Distribution and Service Centers located in Pembroke Pines, FL, Houston, TX and Wilsonville, OR. Our unique position as an onsite manufacturer, and focus on a limited product line, allows us to design, modify and support the unique hardware requirements of our customers. Our focus enables us to excel in markets such as: hospitality, retail, healthcare, government, and industrial industries that demand reliable, retail hardened systems. 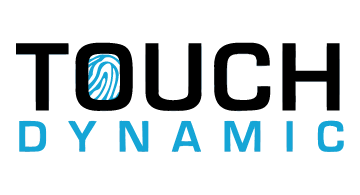 With four facilities across the US, Touch Dynamic continues to reinvest in our company to better support our rapidly growing global network of reseller and ISV partners.